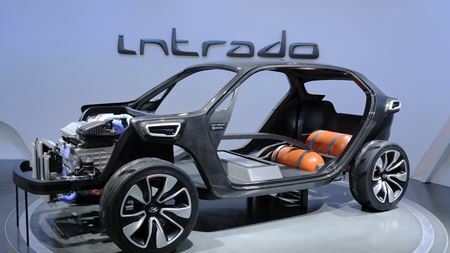 Two advanced composites materials developed by Scott Bader have been used to manufacture the chassis of the Intrado car. 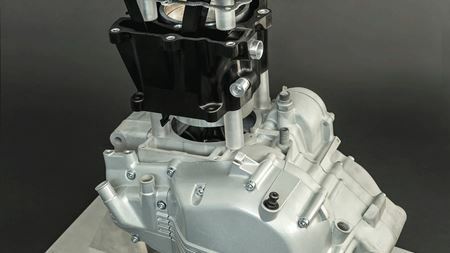 A Fraunhofer project group is developing an experimental vehicle engine featuring fiber-reinforced plastic (FRP) parts. SGL Group reports that has made carbon fiber performs as part of large-scale production of the BMW 7 series. Bayer MaterialScience has been awarded Bio-based Material of the Year 2015. Exel Composites has been selected to provide lightweight, durable, composite shelters to refugee families around the world. Cytec Industries Inc has opened of a new kitting facility based in Toulouse, France, next to its existing process materials site. Teijin Limited has created a new division, the Automotive Business Development Group. Aerospace engineers at MIT have developed a carbon nanotube (CNT) film that can heat and solidify a composite without the need for massive ovens. Solvay Specialty Polymers says that the NSF has certified six of its glass fiber reinforced (GFR) resin grades. Milliken Infrastructure Solutions LLC and Nippon Steel & Sumikin Materials Co Ltd have partnered to introduce Strand Sheet material to North America. Evonik Industries has agreed with Lenorplastics Zug AG to market its molding compound portfolio in Switzerland. NASA has established a public-private partnership with five other organisations to find out more about composite materials for aircraft. Composites Evolution’s Biotex Flax has been used to develop the Earth SUP range of paddle boards made by BIC Sport.